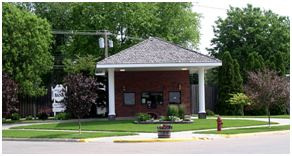 Battle Creek State Bank is an independent, locally owned bank serving the financial needs of Battle Creek and its surrounding area in Northeast Nebraska. Founded in 1943, we are truly a community bank with 100% of our stock owned by people living here in Madison County. We are dedicated to the delivery of personalized financial service. We treat people the way we would like to be treated. We will deal with you with complete honesty and confidentiality. Battle Creek State Bank takes great pride not only in the financial stability of our bank (over $33 million in assets) but also in the stability and experience of our staff. Thank you for visiting our website. We look forward to visiting with you soon! © Copyright 2018 Battle Creek State Bank. All Rights Reserved.